The live act that comes with the single brings you 1 hour top entertainment. The single is available in most online music stores and is produced by mega hit producer Brad Grobler the man behind worldwide act Dance Nation with the hits ''Sunshine'', ''Dance'', ''Words'', Ridin' High, ''Great Divide'' etc. The live act brings you good uptempo songs and the man with the golden voice MC Juice and Stevie Maxx who is the leadsinger of the act Summerlove also known from the worldhit ''Remember ( hey nananana hey )'', ''Dance On The Beach'', ''Summerlove Pt. 2'' will also be on stage. The act is hosted by different upcoming dj's. To get an impression of the people behind the single there's a biography below. Stevie Maxx the leadsinger of the act Summerlove. 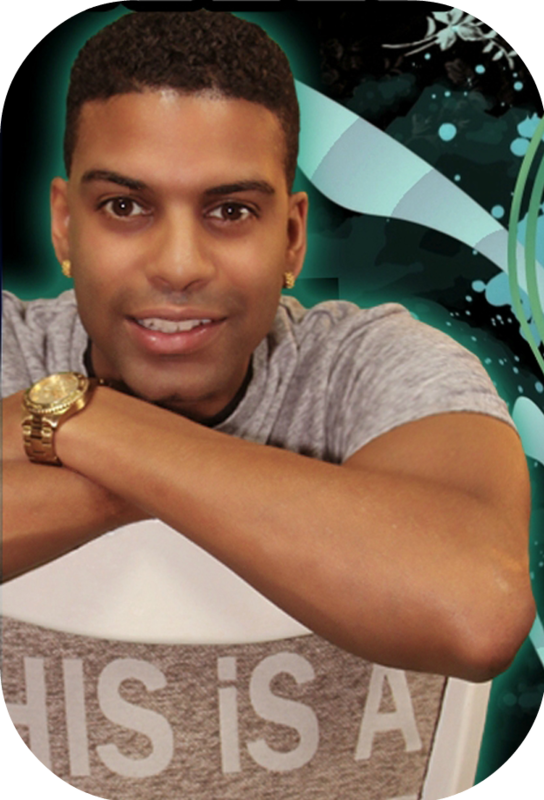 Known from the international hits ''Remember (Hey Nananana Hey), ''Dance On The Beach'' and ''Summerlove Pt.2''. This act is known all around the world during shows in clubs, events and concerts next to international MEGA stars. Summerlove did already perform in Portugal, Spain, Romania, Sweden, Russia etc.. and many more countries were interested like France, Brazil, Colombia. The USA and Canada also.. Summerlove is made up by DJ Maurice and DJ Yorit who met each other in 2001 in Spain. They decided to produce a new record in the studio together. They came up to remake Sunclub's Fiësta but then with English and Spanish lyrics and an easy to sing melody. And so the song ''Remember'' ( hey nanana yeah ) was born. In the beginning the song was unknown but DJ's discovered the song and played it more often. DJ Frank from Belgium did made another remake of Fiësta with another melody and he called the song ''Summerjam 2003''. In the same year the song became a BIG international summer hit performed by The Underdog Project. And so ''Remember'' gets more attention and goes up in the MEGA TOP 50. The song became a hit in countries like Turkey, Greece, Portugal, Spain. Because people asked for the LIVE act at the end of 2004 DJ Maurice and DJ Yorit decided to create one and called the act ''Summerlove''. At the same moment they were recording songs in the studio with Stevie Maxx. They asked him to represent the live act on stage and so he said yes immediately. ''Dance On The Beach''. In clubs this song was played a lot. In front of 10.000 people Summerlove performed for the first time at the Go Après Ski in Den Bosch ( The Netherlands ) in november 2004. Three days after their first show they went to Portugal for a couple of shows in many different clubs. This was an enormous success, so they had to go back to do more shows in Portugal with international artists like ''Lumidee'' from New York. Straight after that they went to Romania with DJ Maurice. Because of the success from former shows, in January and February 2005 they did another tour in Spain and Portugal. In April there were more shows in Romania ( Bucarest ) again and also Sweden in the places Stockholm and Gothenborg. Remixes of ''Remember'' ( now named after the act Summerlove ) are released in different countries all over the world. People react positively and there are even reactions from New York and Canada, Buenos Aires, Colombia, The Caribbean, Brazil etc.. 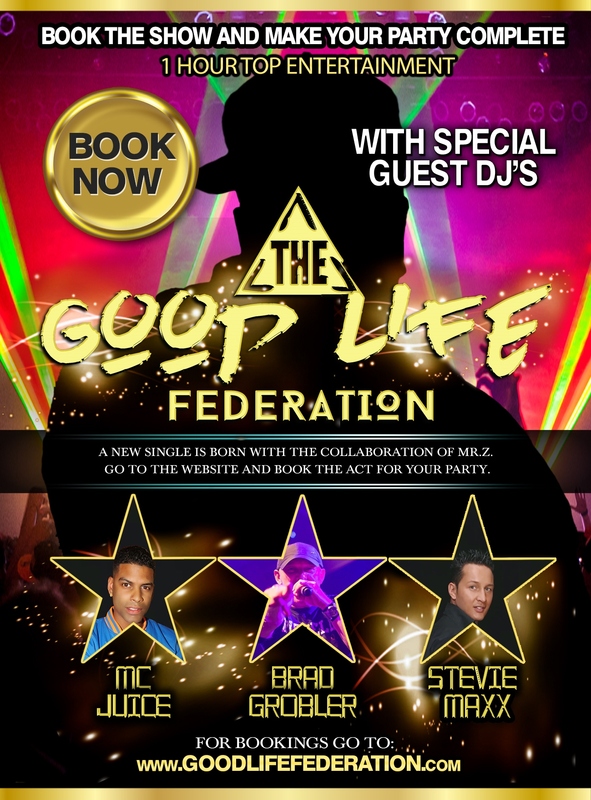 The singer Stevie Maxx of the act Summerlove is now joining The Good Life Federation. Gary Person, also known as MC Juice is born and raised in Amsterdam ! His parents are of Surinamese and Hindi origin. The family consists only of boys and at all brothers play music a big part in their lives. MC Juice has started in the world of R&B and has a lot of experience but a big break, however, was left in coming. MC Juice doesn't like giving up so he is also interested in the HOUSE scene starting from 2007 ! MC Juice rocks with it's mic and in each club the audience rocks along with him ! Better known DJ's such as DJ Carlos Barbosa, DJ Chuckie, Gregor Salto, D Rachid, DJ Kid, DJ Flava, Benny Rodriquez, Lucien Foort for example and big clubs saw a new MC. He is going to continue at this level for a very long time ! MC Juice has not forgotten where he comes from and what path he has had to lay off. He rocks with famous DJ's but also with unknown upcoming new DJ talent. MC Juice rocks and the end is nowhere in sight. MC Juice is now joining the act The Good Life Federation. Brad Grobler is specialised in EDM, Dance, Deep/Tropical House, House, Pop, Hip Hop production, mixing, mastering, song-writing and vocals. He is currently based in Rotterdam, The Netherlands, with 20 years experience in mixing, producing, & mastering & Singer / songwriting. Highlights from Brad's music career includes working with some of the best in the game. DJ Hardwell (NL), Maxi Priest (USA) , Ayumi Hamasaki (Japan), Scooter (DE), Aquagen (DE), Samantha Fox (UK), Jason Nevins (USA), Tiesto (NL), Rednex (DE), The Sunclub (NL), Dance Nation (NL), Neophyte (NL), Evil Activities (NL), Zany (NL), Mark with a K (BE), Shauwn Baker (DE, Uk), DJ Rob & MC Joe (NL), Ross Maza (Mx), Capelli (NL) to mention a few. Brad can be booked also with The Good Life Federation.